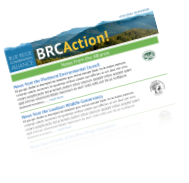 This section contains documents, articles, and other resources pertaining to key issue areas of interest to Blue Ridge Conservation Alliance partners. Use the Issues menu (in the sidebar on notebooks and desktops) to view resources by issue. The Environmental Review of Solar Farms in the Southeast U.S.
Let this stink in awhile! This is a program that Friends of the Blue Ridge Mountains advocated for that has been enacted. Please see details below. https://www.loudoun.gov/conservationeasementassistance The post Conservation Easement Assistance Program Approved appeared first on Friends of the Blue Ridge Mountains.